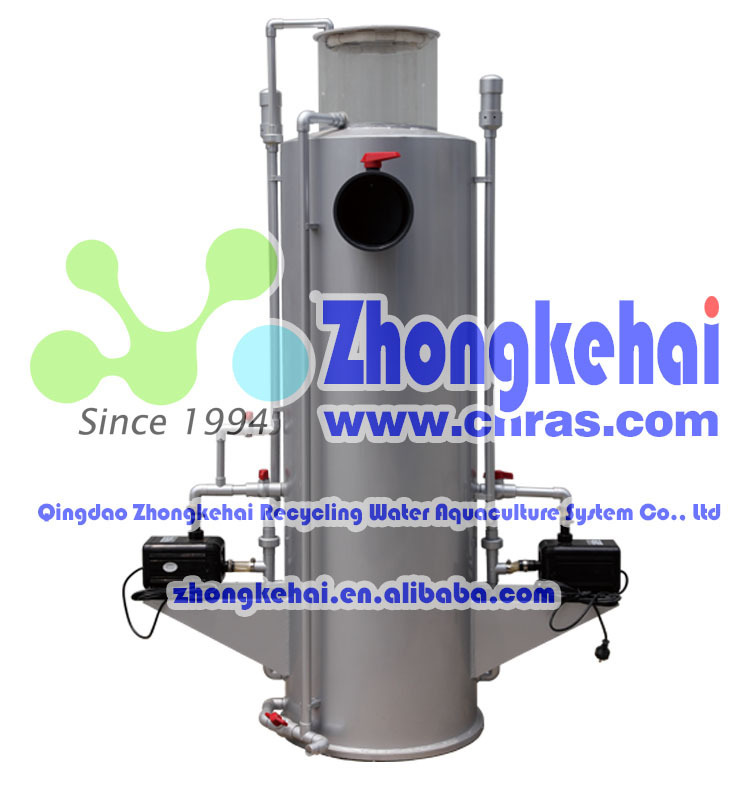 Protein skimmer takes advantage of the bubble surface tension and adsorption separation of the role ofcondensed organic principles, by way of flotation removal of colloidal suspension in sewage farmingbody, cellulose, albumin, bait and feces and other organic matter. 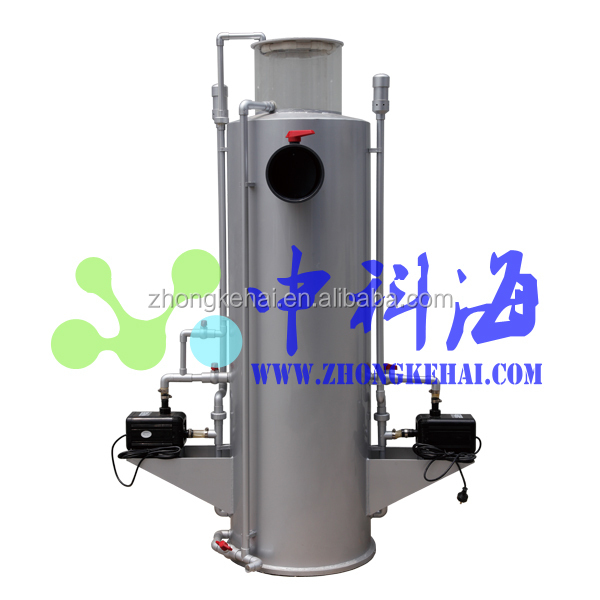 Zhongke Series protein skimmers use the most advanced electric jet structure to replace the traditionaljet device structure, the use of specialized motor impeller broken bubbles, which greatly increased thelevel of the fine bubbles, which greatly improved the working protein skimmer efficiency. 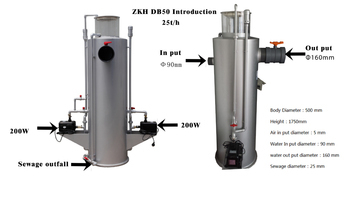 Quick removal of harmful organic particles in water, to prevent its decomposition in the water, quickly reduce BOD5, COD and DOC, the next process of biological treatment to reduce the load; add dissolved oxygen in water, removal of harmful gases; stable pH value; when injected traces of ozone, the contact chamber at the same time as a disinfection reactor. No need to set the inlet pressure pump and injector. 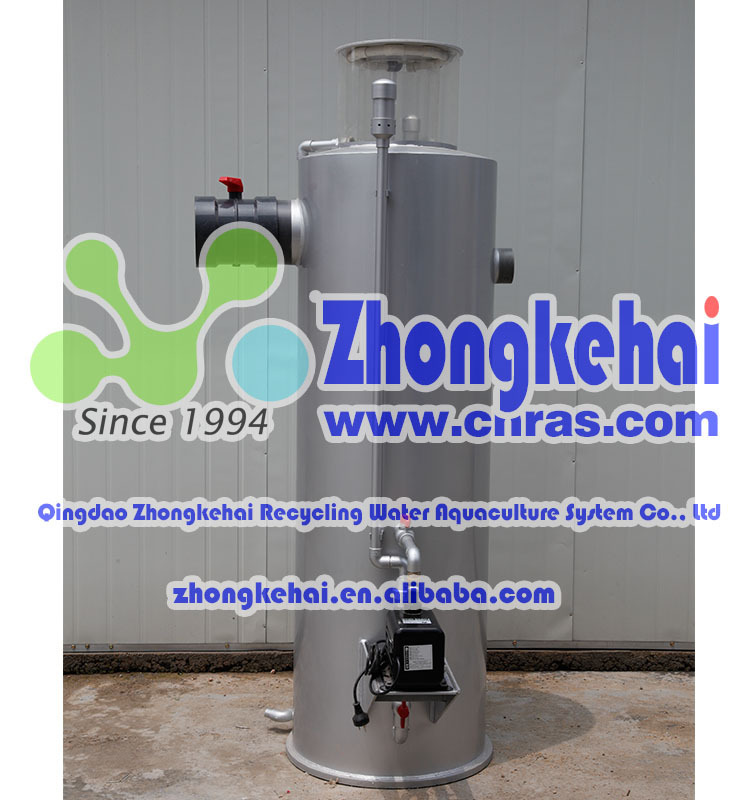 producing and selling of factory recycling aquaculture system equipments and engineering. Aiming for provide one package service range from equipment manufacturing to installation and commissioning of one set equipment for aquatic laboratory and cultivation on site. 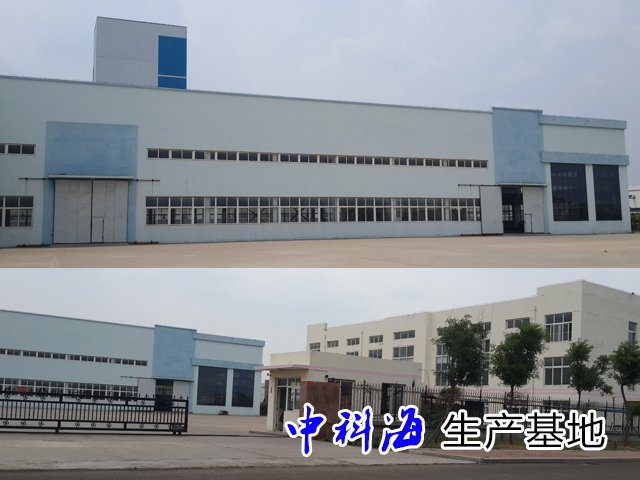 Our products are mainly used for water biological laboratories by universities and research institutions; model biological laboratories by medicine and feed enterprises; factory cultivation workshop of large scale cultivation and nursery habitats. 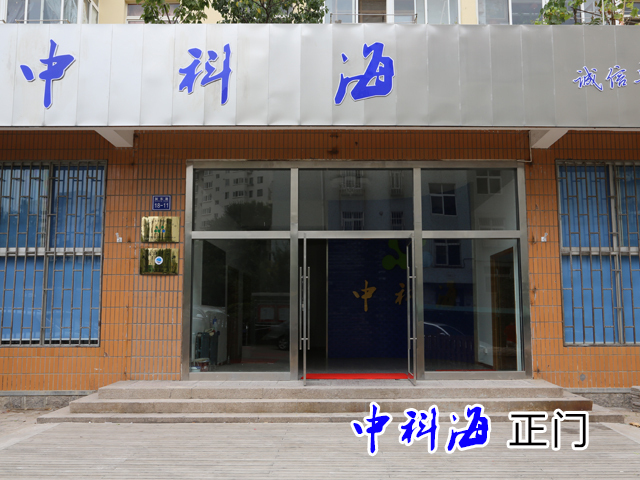 ZHONGKEHAI always provided customers with advanced technology; integrate design program, strict quality control, professional installation and commissioning, as well as thoughtful after-service based on our own scientific background and strong technical backup force in decades. In order to meet customer demand in all aspects, we also design and produce non-standard and special size products. 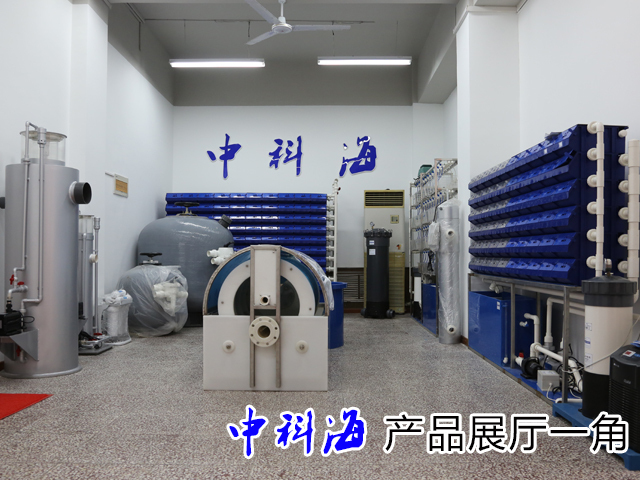 In recent years, our company has independently developed series of the water treatment equipment with world advanced level, such as seawater dedicated microfiltration, high speed grit filtration sink, seawater dedicated rotating biological contactor, protein skimmer, super-intensive aquaculture tank, zebra fish rearing system, amphioxus feeding system, ultraviolet disinfection, crab house high density equipment, microcomputer automatic temperature controller and pp cultivation tank and other aquaculture popular products. 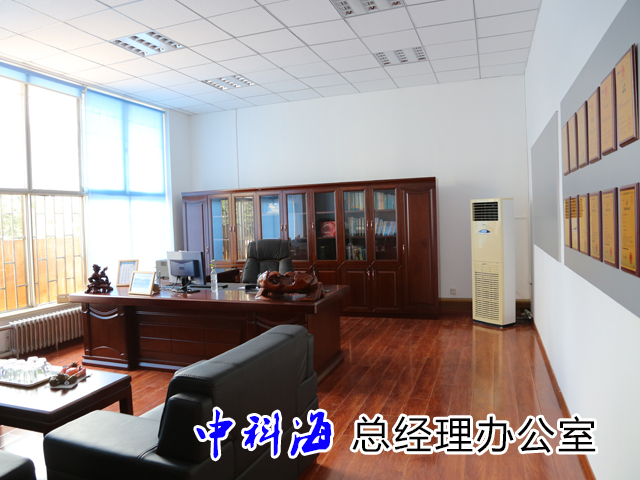 ZHONGKEHAI with its professional quality, advanced technology and perfect service has been fully recognized by home and abroad customers and established long-term relationship. To be the first-class enterprises with world brand is always our chasing goal. We sincerely want to establish long-term cooperation with all friends to develop togethe. The supplier is ranked number 18 by reviews data in Farm Machinery & Equipment.